Tattykeel, another website in the Net Maintain portfolio. 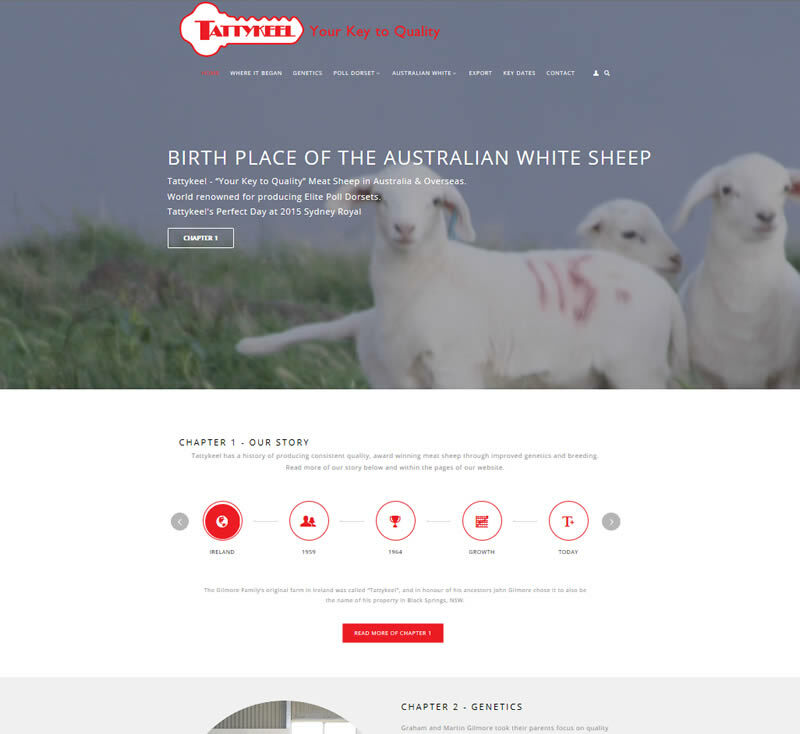 Tattykeel is the birth place of the Australian White Sheep and are world renowned for producing Elite Poll Dorsets. This comprehensive website contains a lot of information on the breeding program undertaken at the stud. As leaders in their field the team at Tattykeel also wanted a website to match. So while the normal components for displaying announcements and significant dates are included so are key breed details. Dynamic and interactive components have been incorporated as an effective feature of this website. Full screen images and parallax effects are also put to good use. You can visit this website by clicking here. Upgrade old non-responsive website with new design, styling and material.